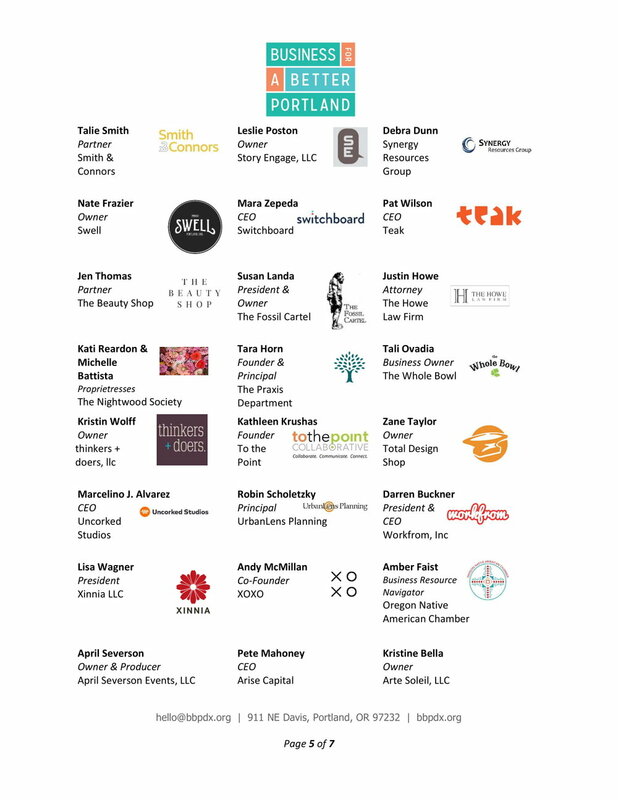 Last week, BBPDX called on our network to sign on to our letter to Mayor Wheeler and City Council in support of Portland’s Underrepresented Business Owners. We’re proud to share that over 120 businesses responded and signed on to our letter. We called for the City Council to approve Prosper Portland’s request for an increased budget for next year. Prosper Portland is main bureau responsible for ensuring that public dollars are invested to create equitably distributed economic opportunity in Portland. Thank you to the more than 120 members and friends who chose to stand with us to ensure that everyone shares in the prosperity created in our region!